It was the middle of the afternoon and I was spending my day off from work sitting next to my dad waiting for a movie to start. Prompted by the previews to silence your cell phone, I checked my CGM to see if I should be expecting it to vibrate during the movie. I wasn’t pleased with what I saw: it was 280 with an upward arrow. We had just gone to lunch before and was battling a high blood sugar (272), but I had prebolused a sufficient amount of insulin. The upward arrow had me concerned, but I put it away as the movie started. Fifteen minutes passed and I discreetly checked again, hiding the bright light in my purse as to not disturb those around me (there weren’t many for a Thursday matinee). 305 and still rising. This wasn’t good. I was hoping that it would at least begin to level off or start dropping. I began to worry, I didn’t want to correct too much just in case it was about to peak and then drop, but I decided to give some more insulin anyway. I tried to focus on the movie, but every time I checked, my number continued to climb. 320, 350, 380, the number reached the top of the graph, reading HIGH, a number above the 400 that can be displayed on the CGM. Obviously my body isn’t getting any insulin, I thought. I started to feel sick. I was nauseous as well as experiencing physical pains in my lower abdomen, something that happens sometimes when my blood sugar soars. Or I could use the insulin from my pump to give myself a shot. I stared at the screen and the dots that were now riding along the very top of the graph. I knew that I had syringes in my purse and decided that I would use the insulin in my pump to give a shot and then change my set when I got home. I got up from the movie and walked to the bathroom. I sat down and took out my glucose meter to test my finger. If I was going to give a correction through an injection, I needed an exact number so I would know exactly how much insulin to give. I watched the meter count down, expecting a number somewhere in the 400s. 250. Wait, what?! That’s definitely not in the 400s, and that number is lower (although only slightly) from what I was before I ate lunch. Therefore, the insulin was in fact working. I decided not to give an injection and instead gave a correction through my pump. I went back to the theatre and sat down, slightly confused. Were the symptoms I was feeling actually associated with my number of 260, or was there a placebo effect happening? Was thinking that I was in the 400s enough to cause me to feel the symptoms of that dramatic high? While 260 is definitely too high, I don’t normally experience the type of symptoms that I was with that number. Soon after, the down arrow on my pump appeared and I began to feel better. My blood sugar continued to drop throughout the course of the movie, leveling out right around 100. Although there is often a discrepancy between my CGM and glucose meter, its rarely that large of a difference or that drastic of a high. I started to think back to how I was feeling earlier. Was it possible that my physical symptoms were in fact psychological? I had watched on my CGM as my blood sugar gradually rose to over 400 and believed that it was true. Was that belief enough to make me experience those symptoms? I’m not sure. 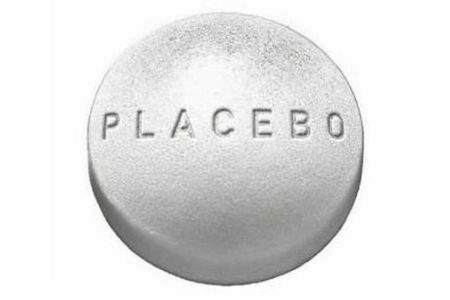 Research shows that people can feel better while taking placebo pills, merely because they believe the pill will help them. Was that what happened to me, but in reverse? It’s an interesting phenomenon and question that I don’t know the answer to. I haven’t had the same kind of placebo effect since, but I’m curious if anyone else has had a similar experience. Hmmm, that's very interesting. I don't know for a fact, but I do believe it could have been a placebo effect of feeling what you thought your number was. I bet you were stressed out by it too, which probably didn't help.